"To mobilize action globally in line with the 2030 Agenda for Sustainable Development will require buy-in and commitments not just from governments, but from all segments of society. 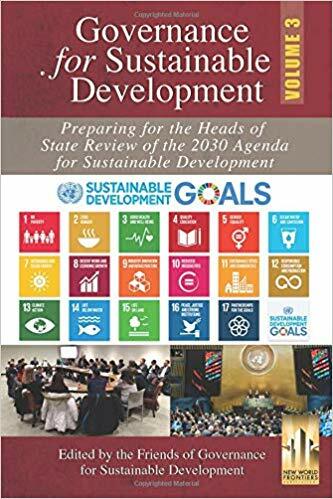 This book addresses a major component of that challenge – involving stakeholders in every part of the process to deliver on the promise of the SDGs. Many of the contributors have long led efforts to build an inclusive and democratic framework for delivering on sustainable development. Their experience, insights and analysis of what works and what doesn’t not only make the case for the benefits of multi-stakeholderism, but allows them to develop crucial practical and detailed guidance on making multi-stakeholder policy dialogues and partnerships legitimate, effective, and accountable." - Steven Bernstein, Professor of Political Science and Co-director of the Environmental Governance Lab, Munk School of Global Affairs and Public Policy, University of Toronto, Canada. Governance for Sustainable Development: Implementing the 2030 Agenda Volume 2 (April 2018) edited by Felix Dodds , David Banisar, Akinremi Bolaji, Yeongmoo Cho, Reinhard Krapp and Quinn McKew. Available from here. Achieving sustainable development requires an enabling environment. Governance plays a crucial role in creating those conditions, notably, for our purposes in the implementation of the 2030 sustainable development agenda process. From creating new platforms to reforming old ones, the process must live up to this standard and its mechanisms should be geared towards fostering this type of new international environment and cooperation for sustainable development. This is the second volume produced by the Friends Group. The first volume presented the period from late 2014 to the end of 2015. The Group also has a website which it places the papers that are being discussed at the Friends Group’s meetings, which can be found here. The chapters of this book are a reflection of the rich contributions made by governments, intergovernmental bodies and stakeholders in the three workshops that the Friends Group hosted in 2017. 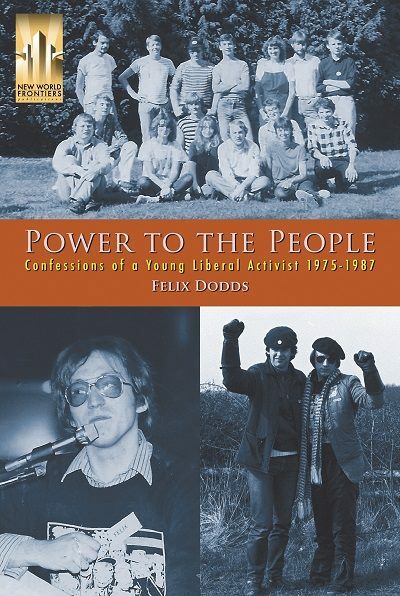 Power to the People: Confessions of a Young Liberal Activist 1975 to 1988 February 2018 and available from here. 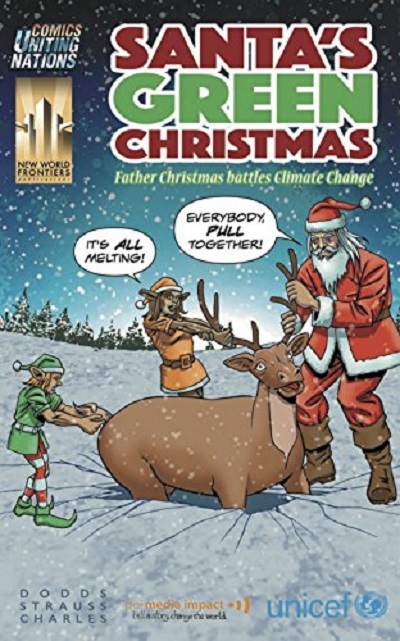 Santa’s Green Christmas is the newest comic in the Comics Uniting Nations series, a collaboration between top comic artists, UNICEF, The World’s Largest Lesson, PCI Media Impact and Reading With Pictures. It hones in on the United Nations’ Sustainable Development Goal 13: Climate Action. 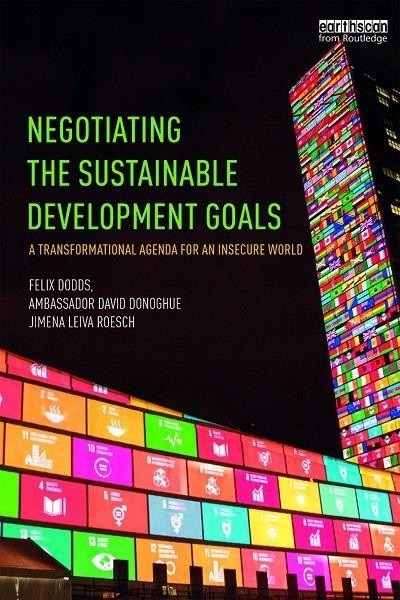 Negotiating the Sustainable Development Goals: A transformational agenda for an insecure world is written by Felix Dodds, Ambassador David Donoghue and Jimena Leiva Roesch tells the story of the Sustainable Development Goals (November 2016). Available here. 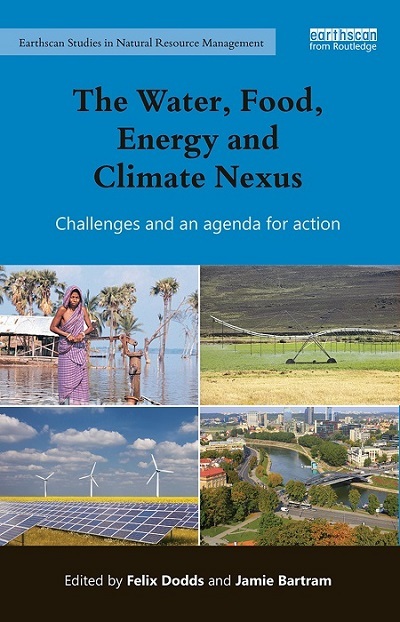 'The Water, Food, Energy and Climate Nexus: Challenges and an Agenda for Action' (September 2017) edited by Felix Dodds and Jamie Bartram with a foreword by HRH the Prince of Wales. Available from here. It brings together contributions by leading intergovernmental and governmental officials, industry, scientists and other stakeholder thinkers who are working to develop the approaches to the Nexus of water-food-energy and climate. It represents a major synthesis and state-of-the-art assessment of the Nexus by major players, in light of the adoption by the United Nations of the new Sustainable Development Goals and Targets in 2015." 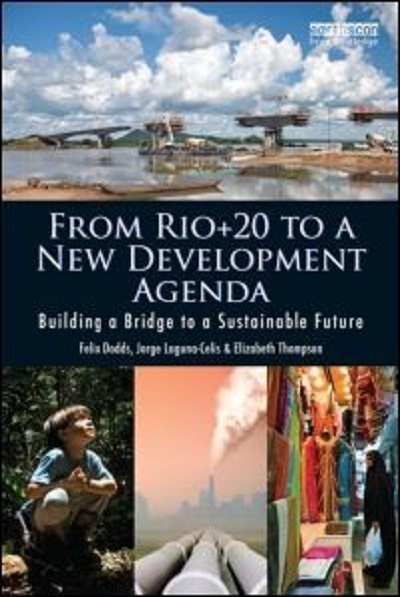 From Rio+20 to the New Development Agenda by Felix Dodds, Jorge Laguna-Celis and Liz Thompson (Feb 2014). Available from here. 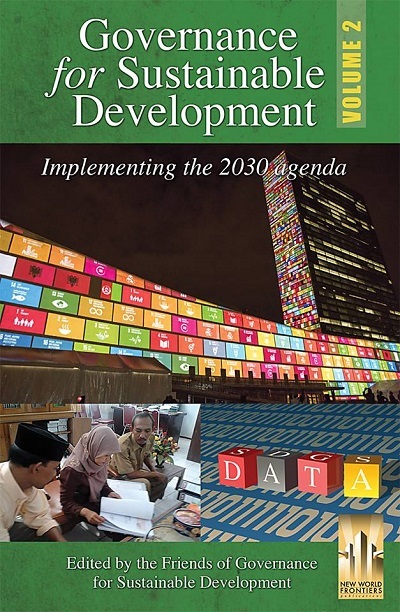 Governance for Sustainable Development: Ideas for the Post 2015 Agenda edited by edited by: Hoonmin Lim, Sara Luna and Oana Rebedea, David Banisar Felix Dodds and Quinn McKew (2015). Available from here. "The inextricable link between good governance and sustainable development was acknowledged in the Rio+20 Declaration “The Future We Want”. Moreover, the Report of the High-Level Panel of Eminent Persons on the Post-2015 Development Agenda further elaborated on this issue and made a call for all countries to recognize the need for responsive, legitimate and democratic institutions, at all levels. We expect the present publication to be a useful input for the ongoing discussions about the institutional architecture for the Post-2015 Agenda. Our generation has now the opportunity to redefine the future and bring real, significant, transformative and universal change for and with the people, leaving no one behind. However, sustainable development will only become a reality if we have the enabling environment for it to happen. Thus, good governance will be pivotal for implementing, reviewing and improving the Post-2015 Development Agenda. We expect that this publication contributes to the colossal, but encouraging, challenges we will be facing during the next 15 years." 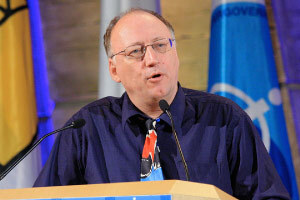 Felix Dodds latest Report (2008):The Donostia Declaration San Sebastian Spain. Edited with Hannah Stoddart, Derek Osborn, and Michael Strauss (2008) see other reports by Felix Dodds by clicking on the right hand side section. Felix Dodds latest Academic Paper (2013): Acting to Address the Ocean-Related Impacts of Climate Change on Human and National Security,with Recommendations for Priority Actions drawn from the discussions of the Global Conference on Oceans, Climate and Security at the University of Massachusetts Boston. 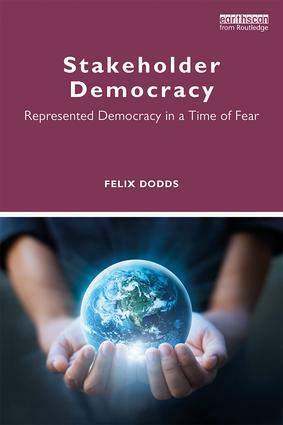 Felix Dodds latest Pamphlets and Briefings:Stakeholder Democracy Millennium Paper 7 (2004) see other pamphlets and briefings by clicking on the right hand side section.